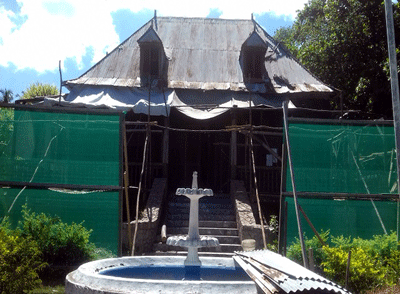 One of the most iconic structures on Seychelles’ third-most populated island will get a facelift starting this week to restore it to its original structure. The Grann Kaz on the island of La Digue is a stately, 19th century house built in a style of French colonial architecture. And it’s about to undergo some changes. “We are not demolishing it but instead renovating it while sticking to the original designs and architecture,” said Hansley Constance, the project manager. Grann Kaz, a national monument, is a large traditional plantation house. It is located at l’Union Estate, in the southwest part of La Digue, one of the most important islands in Seychelles, an archipelago in the western Indian Ocean. Constance says the initial French design will be reintroduced in the current plans for the two-bedroom house. “Through the years, there has been several modifications made to the house and its architecture. For example the kitchen was initially built separately from the house and this is one thing we want to redo this time round,” says Constance. Grann Kaz is one of the oldest architectural wonders in Seychelles. “It was initially constructed in the 19th century and was handed down to several other families, making it a historical and cultural gem to the people of Seychelles,” says the chief executive of l’Union Estate, Keddy Nibourette. Once restoration work is completed, the national monument will turn into a museum where visitors can see the period furniture. “It is one of the last traditional plantation houses of Seychelles so we used the underground floor as a gallery and visitors also loved venturing inside to see our old furniture,” says Nibourette. 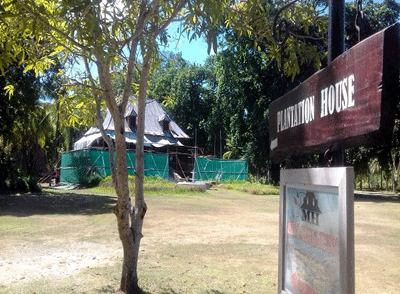 The plantation house was one of the set of the movie Goodbye Emmanuel, a French romantic sequel of the 1970s and has welcomed many dignitaries to La Digue island. 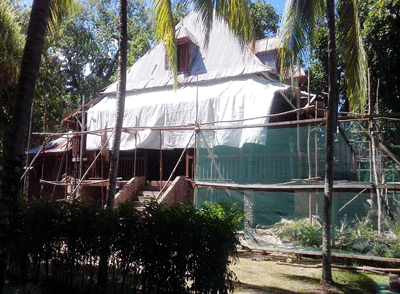 An agreement for the restoration of the colonial house was signed in 2014 between the l’Union Estate company and the Seychelles Heritage Foundation, which ensures the protection of important sites of Seychelles. The renovation of Grann Kaz will cost about $186,000. 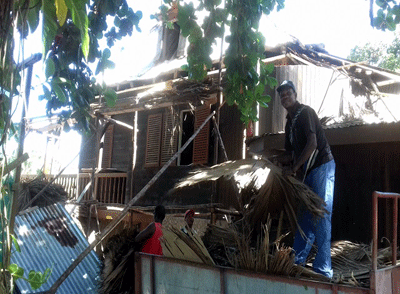 The project includes replacing the thatched roof of the house and the interior as well as refurnishing the large veranda. Grann Kaz, the island’s tortoise pen and the renowned Anse Source d’Argent beach all generate income for the tourism industry on La Digue.